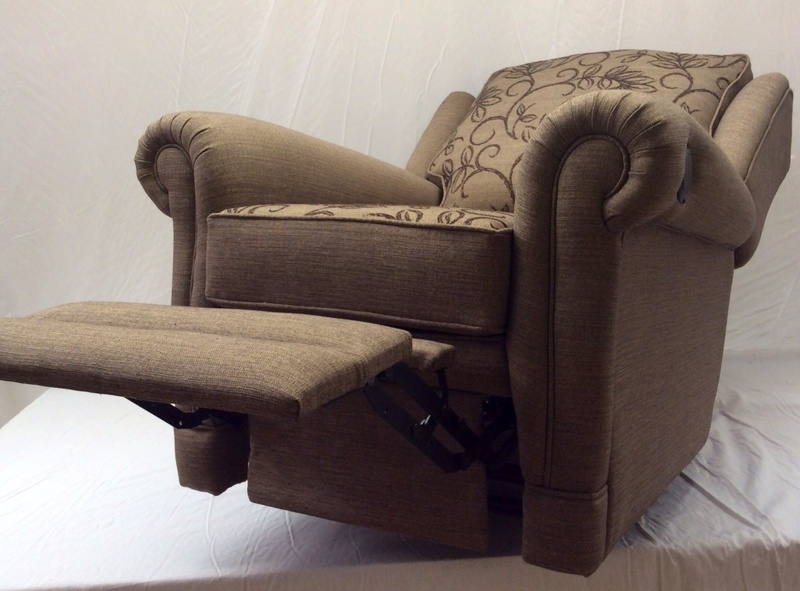 Recliner chairs made on its own or to match a suite this is our Ascot Design Range Recliner to sit alongside a sofa and chair for a complete lounge setting that matches together without looking like a recliner, all of our designs can be made to suit a recliner mechanism. 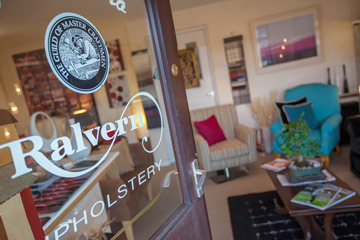 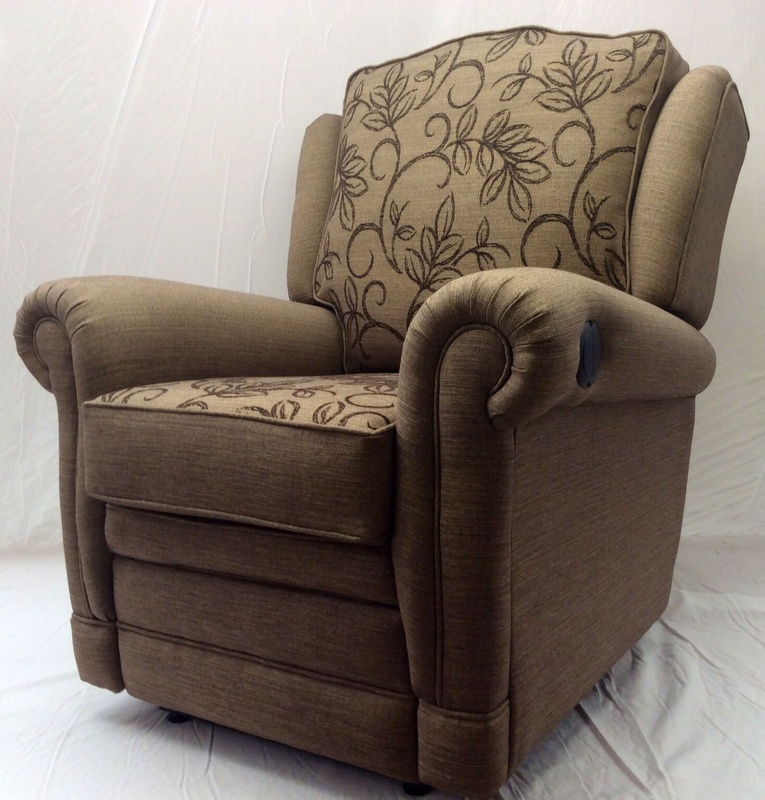 Each Recliner Chair made is made to suit every individual, made using a lusch mechanism with our experience of quality in house frame making, any chair can be made using a very wide range of fabrics of your choice or leather to suit you decor and choice. 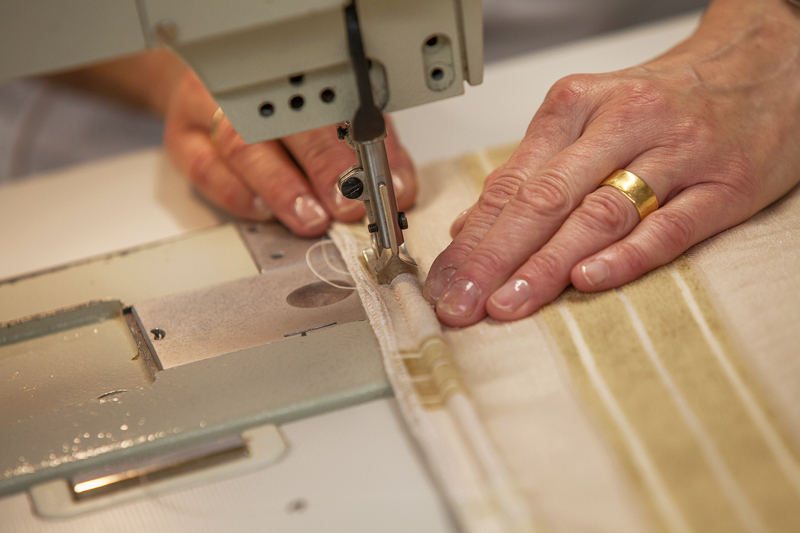 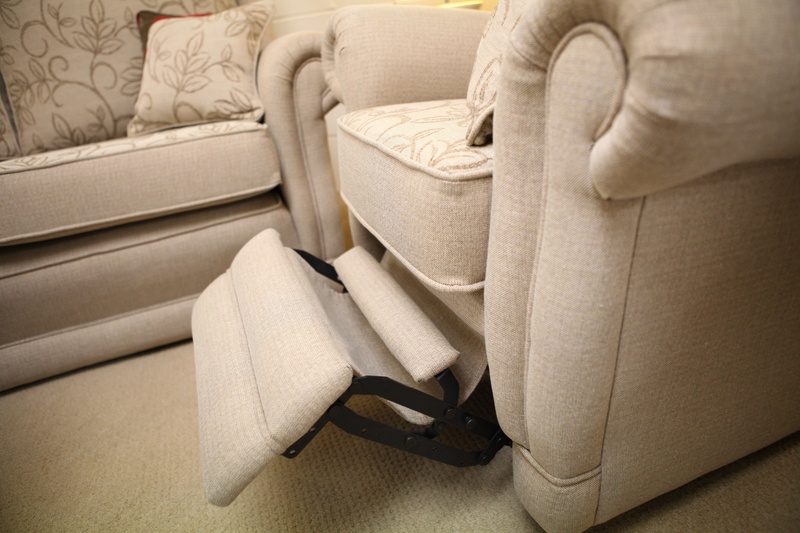 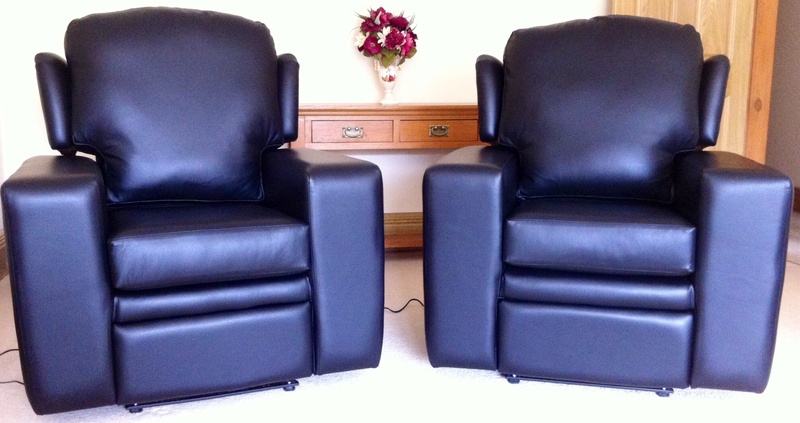 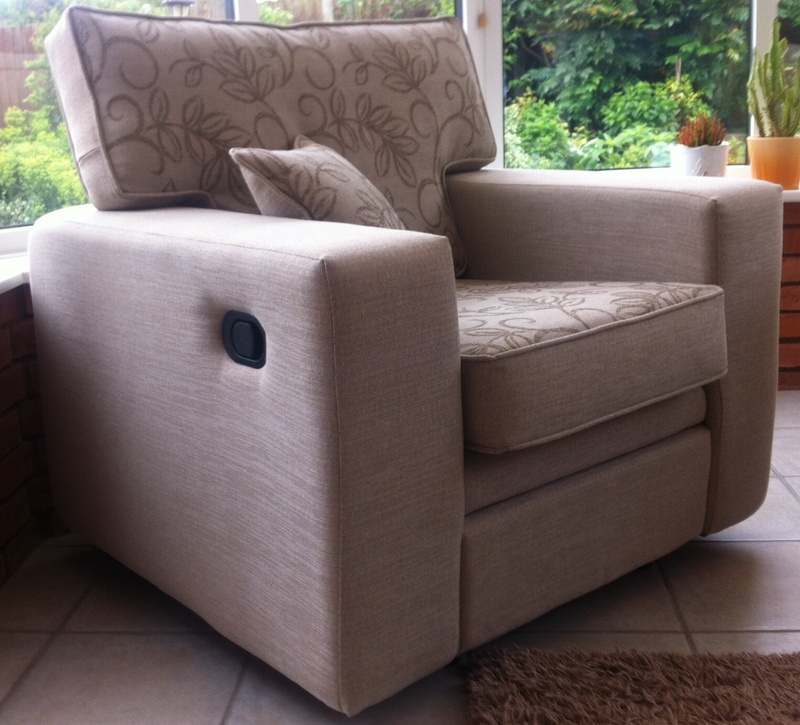 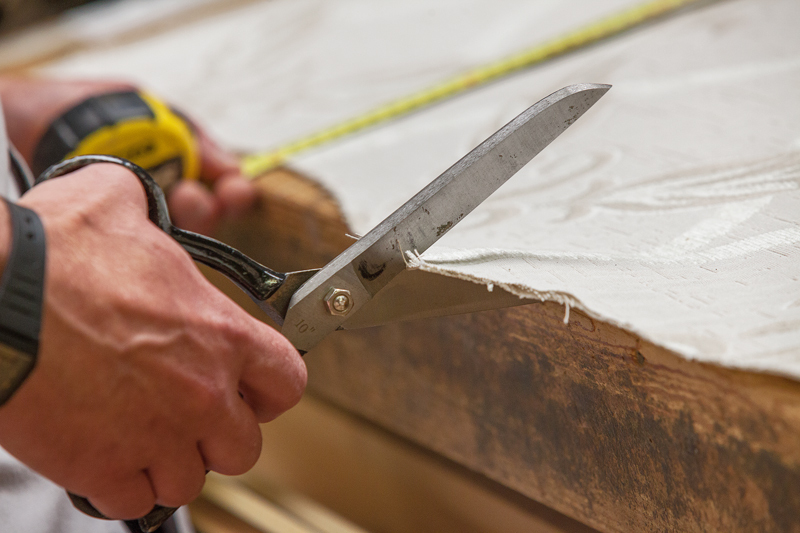 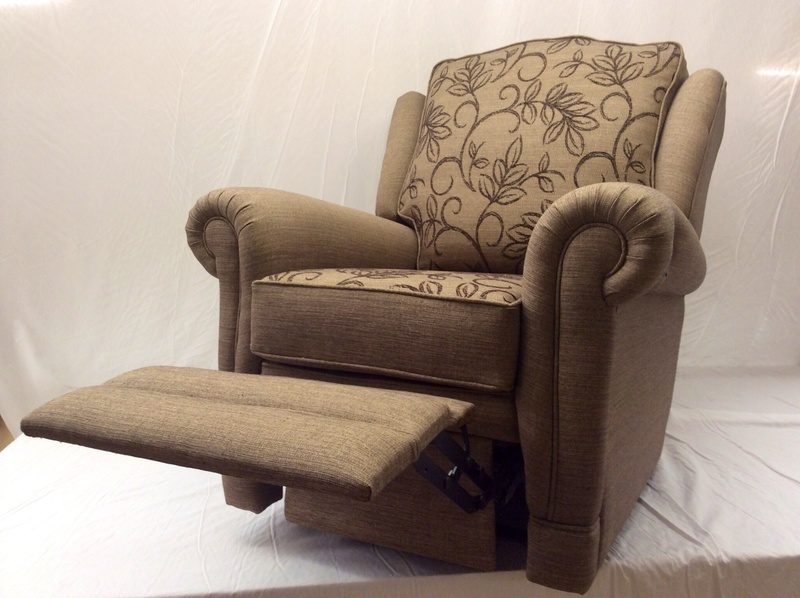 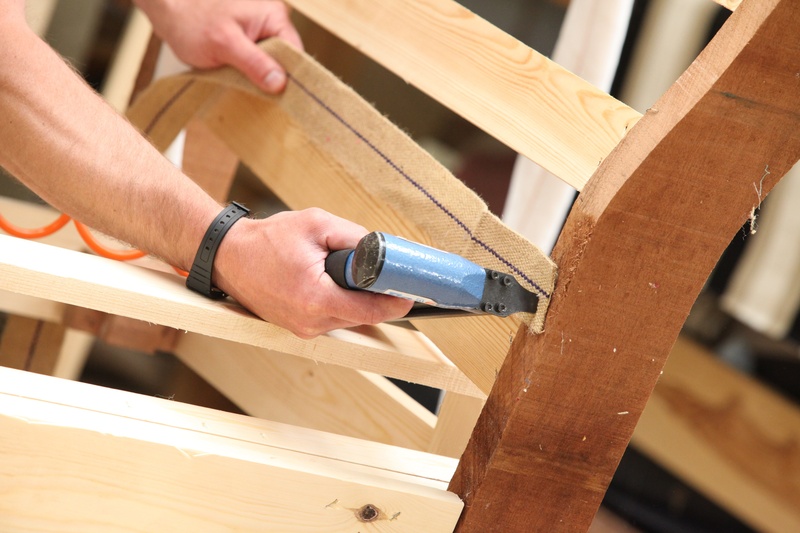 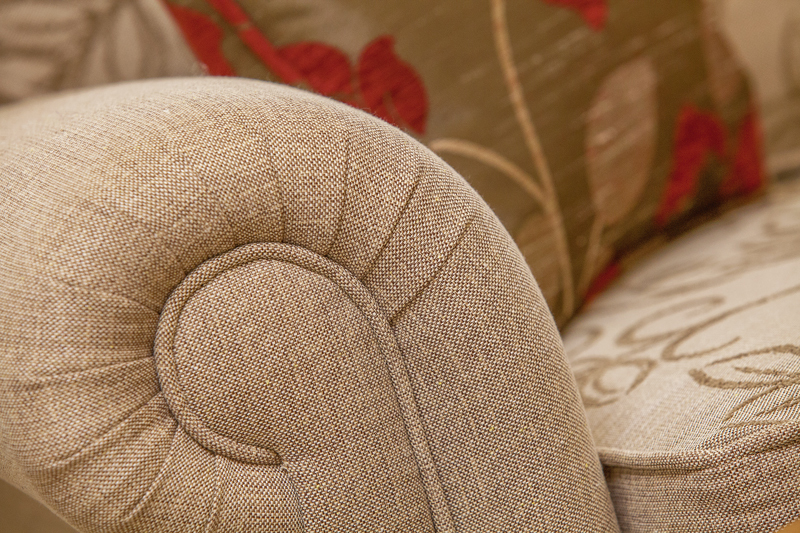 Our build quality for all our recliner chairs comes with peace of mind as we make all our own frames to meet your requirements in a design to compliment the suite design or existing design. 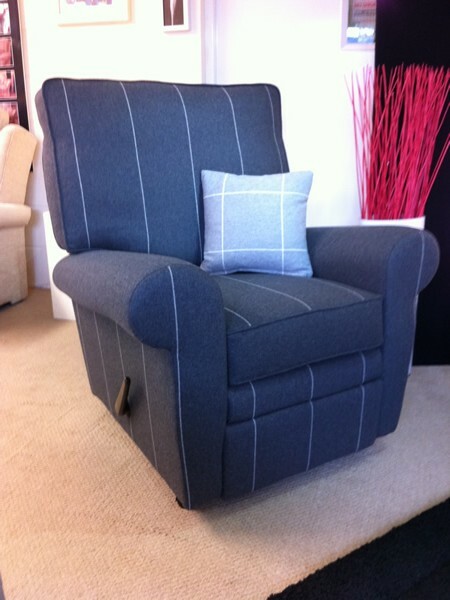 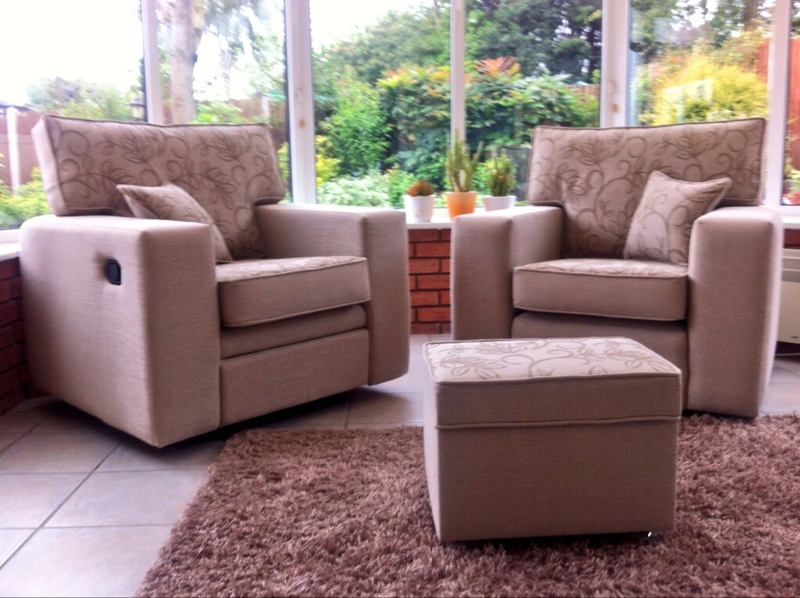 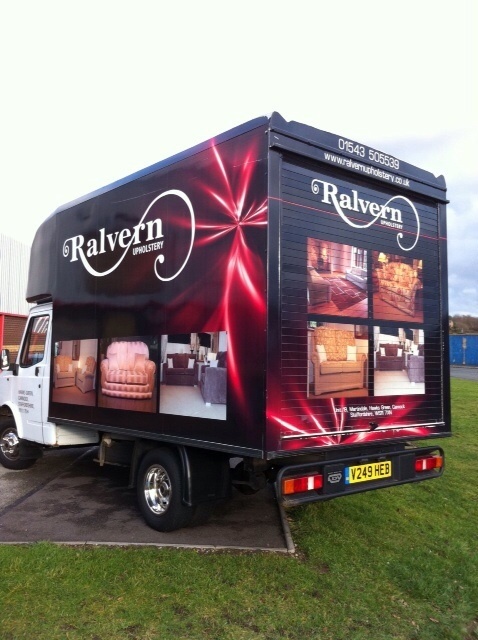 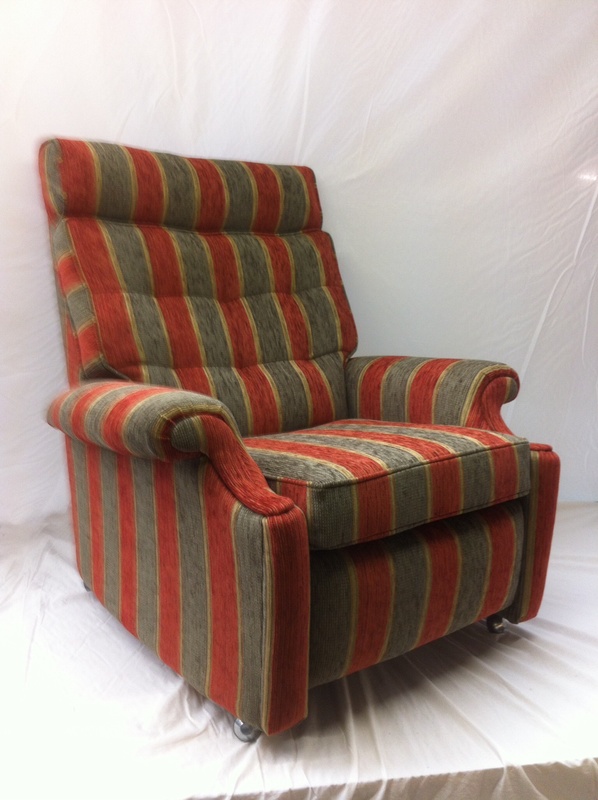 If you are interested in our recliner chairs, and wish to enquire more about our designs, fabrics, & sizes feel free to contact us as we are here to help create what your looking for either a single chair or an entire suite we will endeavour to meet all your requirements. 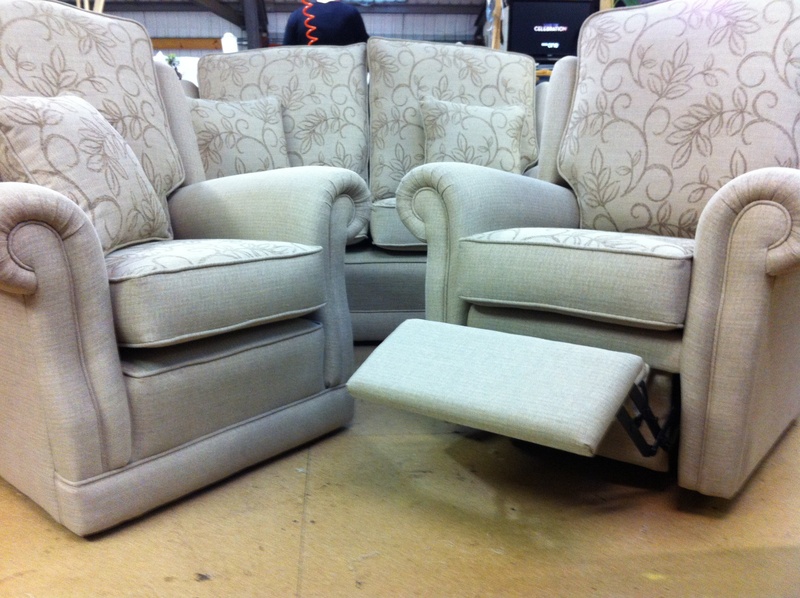 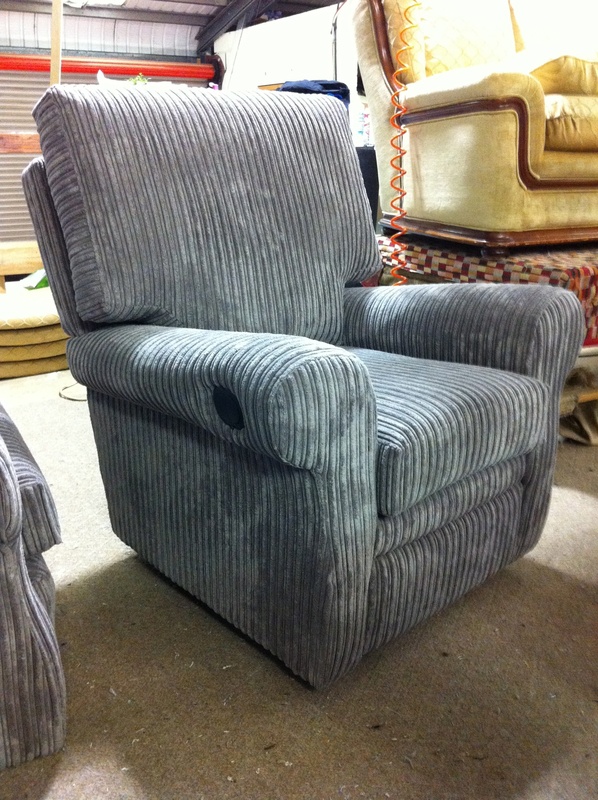 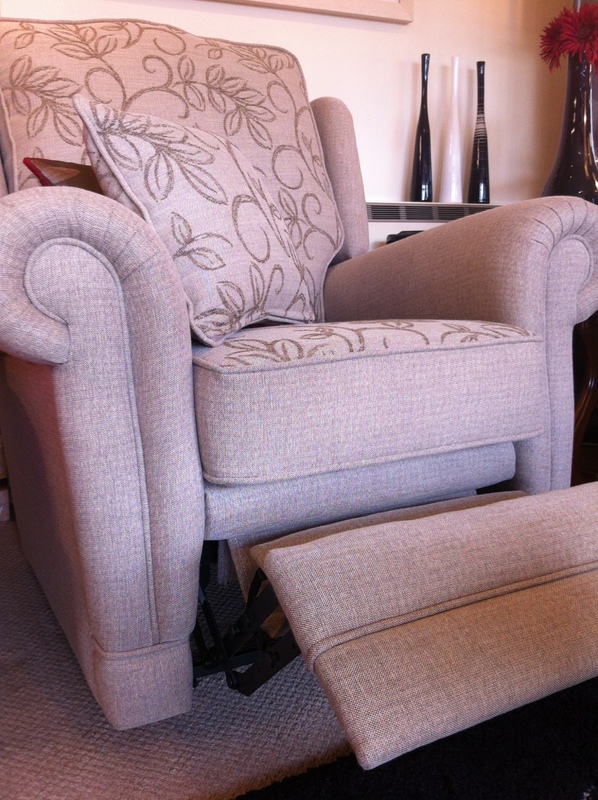 Whether your looking to by a brand new Recliner chair or to Reupholster your existing trusted old chair we specialise in both, the chair above is a 30 year old chair that’s been transformed back to new using all new foam elements to create a new lifetime for this old trusted Recliner, again please enquire about our service we are here to help.